Help kids decompress and calm down with these stress toys for kids. 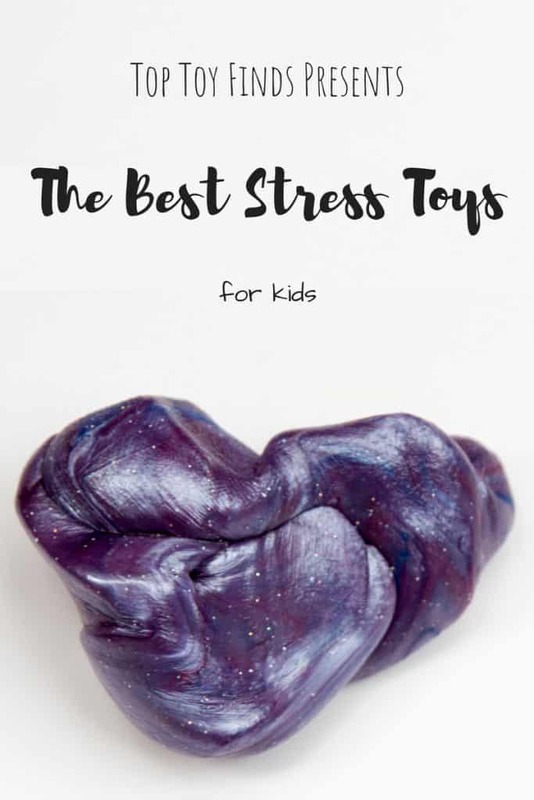 Mess-free stress toys as well as messy play stress toys for kids. 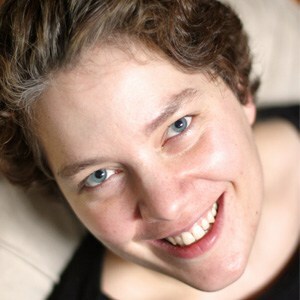 Did you know that the key component of stress toys for kids is that they are sensory toys? Sensory fidget toys are one of those secret childcare tools that can transform a parent or teacher’s life! Today I’m sharing the best stress toys for kids that we’ve found, including a couple you can make at home! Magna-Tiles, especially if you play with the translucent ones on a light table. Wiggly water snakes. The water is contained in a tube that kids love to watch slide through their fingers. Perplexus balls. These have a great cognitive puzzle solving component. Liquid timers. I find that kids love watching the bubbles. Stress balls. This classic never goes out of style. Slinky toys. The metal ones work best, but the plastic ones tend to hold up a little better since they tangle less. Fidget cubes. These are great compact stress toys for kids. Koosh balls. This active play toy doubles as a great stress toy. Thinking Putty is our favorite messy stress toy. Think of it as silly putty on steroids. Therapy Putty is used by occupational therapists, but the different levels of resistance make it wonderful as a stress toy. Kinetic Sand. Both less messy and more satisfying than regular sand, this is a favorite with my children and all of their friends. NOTE: this is a sensory toy where brand really matters! We found that we liked the Kinetic Sand brand sand much better than some of the other brands. Zen Gardens. These are both calming and relaxing for children. Mad Mattr is a lot like Kinetic Sand, but it holds its shape better and has a softer texture. You can roll it into a ball and the ball will stay made, but when you’re done having it in the shape of a ball it falls apart the same way it did when you first opened the container. Kids love these stress toys – you just need to be willing to clean up the mess (or keep the activity outdoors). My kids use all of these toys indoors; sometimes I do have them play over a plastic breakfast tray (we get ours from IKEA) for easier clean-up. 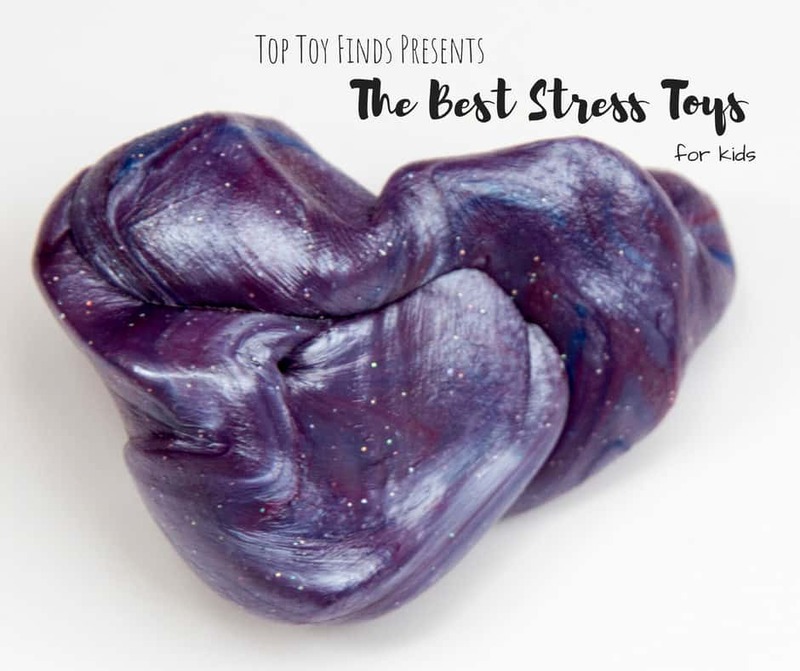 What are your favorite stress toys for kids? I’m always looking for recommendations – both messy and non-messy. Please share recommendations with me via the my Facebook page, as I would love to add them to this list!